On the pages of these true bush flying stories, a floatplane races toward the shore and crashes in front of the lodge, Jake’s plane engine quits twice, a forest fire threatens Hardscrabble, a gale flies the plane minus a pilot, Jake searches for lost guests at night, firefighters are trapped between walls of flames, and a boy must be airlifted after suffering a compound leg fracture. Excitement and terror are combined with a practical guide to wilderness survival. Bush flying challenges and techniques are explored in detail. After Jake Morrel completed engineering school, one fact was obvious: Life behind a desk was the wrong choice. So off to Maine with his young bride, Beth! A teaching job led to flying lessons and a lifelong love affair with planes. After several years of instruction and practice, a dream job as a commercial floatplane pilot materialized. 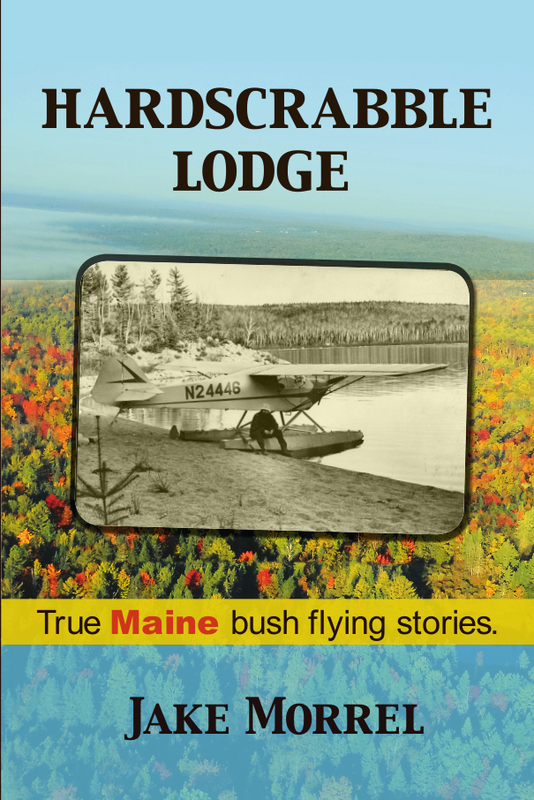 As a flying family, exposure to the numerous remote lodges in Maine prompted Jake and Beth to purchase a dilapidated set of remote log buildings, which they rebuilt and named Hardscrabble. Today, Jake and Beth are retired and live next to their private air strip, ME32.